Inga Sempé is an amazing designer of cutlery who has created the Collo Alto set of flatware as a tribute to the famous cookbook “The Silver Spoon”. The design is centered around a circle or balloon shape. They are rather pricey but available at Alessi.com, and there is a great article with more photos over at Fast Company Design. I like the shovel spoon myself, it stands out from the crowd. What interested me even more is the book they pay tribute to. 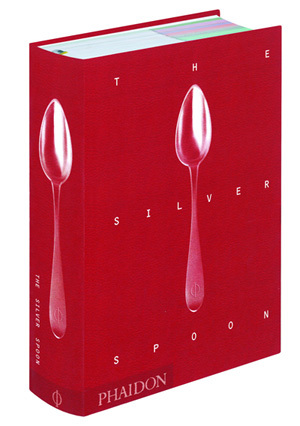 “The Silver Spoon” originally published in 1950 is considered the most influential and bestselling Italian cookbook of the last 50 years. It’s been updated as of 2011 with new color photos and it looks amazing. 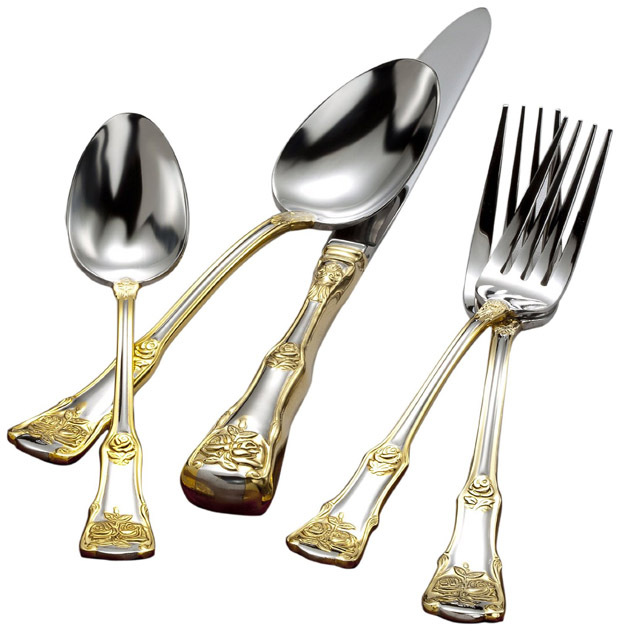 This is a beautiful looking set of flatware with lovely golden rose accents. But I have said it before and it is worth saying again, if you want the gold to stay on the cutlery then keep it out of the dishwasher! You need to hand wash these and it is not just the dishwasher detergent that does the damage, it is the rattling against themselves and other flatware. So please treat them with respect if you want them to last. OK, ranting over. This 20 piece set of cutlery contains a place fork, place knife, place spoon, salad fork and teaspoon and it made of 18/10 stainless steel. It is part of the Royal Albert Old Country Roses Dinnerware Set. This set of flatware for four by Royal is considered to be of restaurant and hotel quality. What does that mean? Well I guess it depends on the restaurant or hotel. Either way it seems to be a nice set. 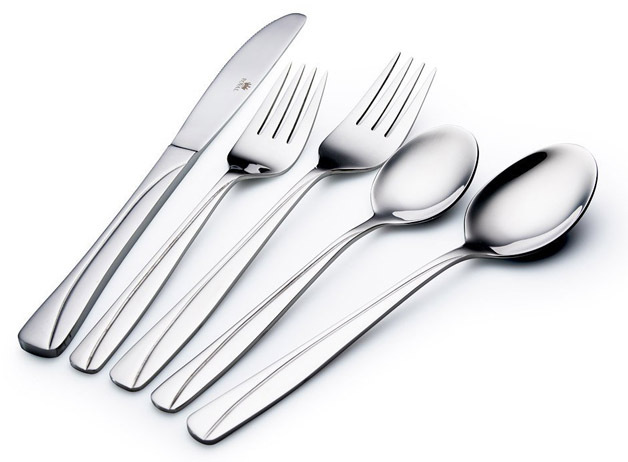 Consisting of four dinner forks, four teaspoons, four knives, four salad forks and four tablespoons and made of mirror polished 18/10 stainless steel. Each utensil is individually wrapped in wax paper and sealed in plastic bags and packaged in gift box. So it makes for a nice wedding gift me thinks. OK, time for a fun Friday before a long weekend post. Someone sent me this photo of amazing piece of cultural cutlery art. 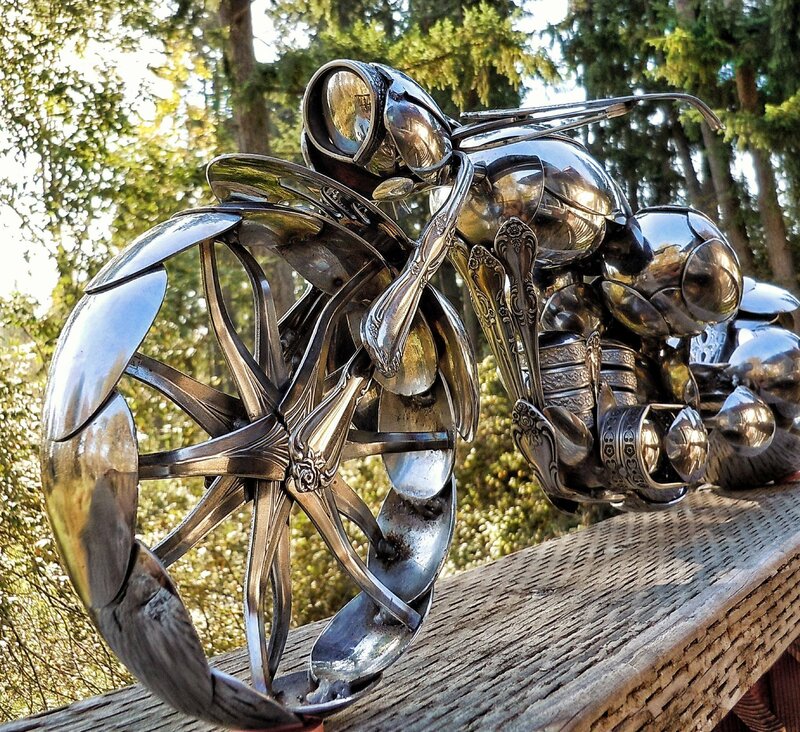 An amazing artist spent a lot of time bending these spoons into an detailed motorcycle artwork piece. Anyone know who did this? I’d really love to give them credit for this flatware find. Let us know in the comments.